Kottayam is a vast network of rivers and canals which empty into the great expanse of water called the Vembanad Lake. The lake, an enchanting picnic spot and a fast developing backwater tourism destination, provides boating, fishing and sightseeing experiences that are truly exhilarating. 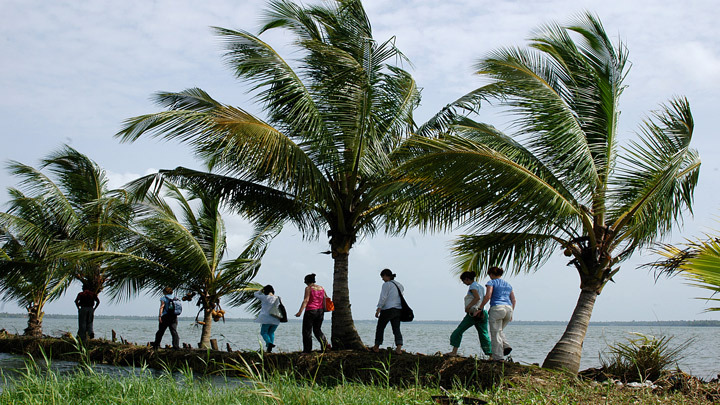 The Kumarakom Tourist Village offers houseboat cruises and holiday packages. The serene lake comes alive during Onam with a spectacular water regatta – the snake boat races. It is indeed amazing to watch oarsmen, at least a hundred in one boat, slice their way through the waters to the fast rhythm of their own full throated singing.